Reading a post on the Iskandar Living Forum got me thinking of a business opportunity. There is lots of interest in buying new homes (condos, link houses and bungalows) but lots of people express concern about buying used houses. There are several reasons for this but I think one of them provides a business opportunity. In the USA there are professional home inspectors. They often used to be general contractors (and some still are – doing both). Pretty much every resale has a home inspector look through the house. Those doing it, do so many times each week and have checksheets (with dozens of things to check) and they know the area. So they know for example if some developer used bad wiring for a condo or whatever and can take special care to check things that are problematic. If these don’t exist in Malaysia yet it seems like a great business opportunity (if they do, then just doing a great job at it is still a good business). If you can stake out ground as a reliable expert purchasers will gladly (smart ones anyway that are not home inspector experts) pay fairly well. You don’t need to do a lot of work (once you become expert) to provide a huge amount of value. This is a great place to be for a business (provide a large amount of value for not much work) as you can provide the customer a great value and still make a nice living yourself. The smart ones in the USA have developed very extensive handbooks to then turn over to the new homeowner with all sorts of useful info. Again this is a great way to set your business as professional. If I were interested in creating businesses here there are lots of opportunity, but this seems like another great one. What you want to do is talk to lots of real estate agents and have them refer there clients to you. 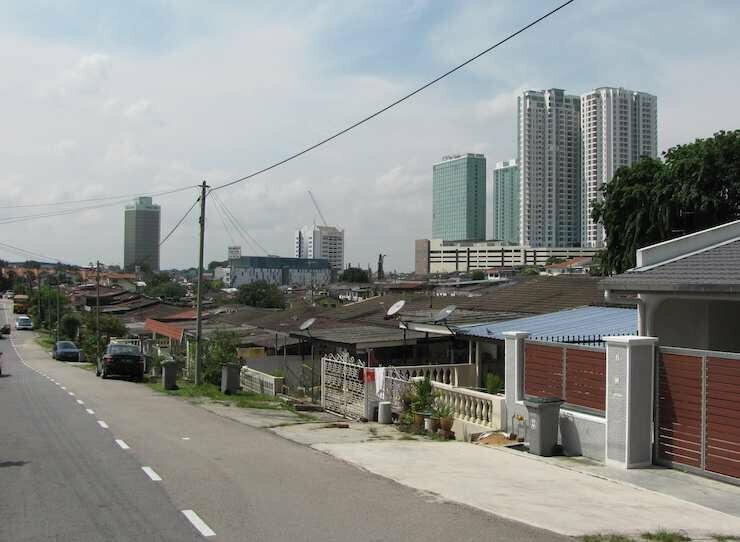 I think it is best if you just provide a great service that makes the agents look good (because they provide a good referral to their customer) but if it is legal in Malaysia you could even pay the real estate agents a portion of your fee. I was in the KSL Mall a couple weeks ago and one of the temporary pop up displays they often have selling real estate (often to be build condos…) or wedding materials or… was for investing in palm plantations. Since it was the middle of the week and no-one was around I talked to the salespeople a bit. I am a pretty skittish investor. I am willing to take investment risks but I want to understand what the risks are. I can’t see myself actually investing in this now, but it was somewhat interesting. They, Golden Palm Growers Berhad claim a 6% guaranteed rate of return. I asked who guaranteed it and I couldn’t really get an answer I understood. They did seem to agree the guaranty wouldn’t protect against some natural disaster or if palm oil prices feel below a certain level (I think the equivalent of $40 a barrel for oil). They seem to be able to use guaranteed much more liberally than would be allowed in the USA related to investments. 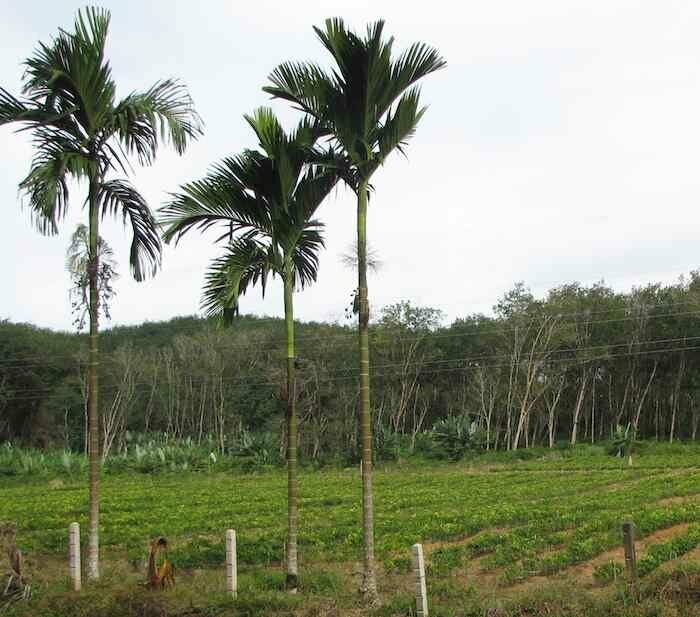 Palm oil trees, with rubber trees in the background by John Hunter, in Thailand. On top of that return there was a “discretionary bonus” that in initial years was based on income earned on excess capital. I still couldn’t really understand the investment totally but it seemed similar to a limited partnership where the company was the general partner (owning the land and managing the care of the palms and selling the palm nuts to processors). I can certainly understand that the general partner may want to take on limited partners. In such situations the general investment market (palm oil) is important but it is also extremely important to trust the competence and reliability of the general partner. Their interest can be somewhat shared with yours but they have an interest in high management fees (to pay themselves) which is exactly counter to all the limited partner investors.